The works of Mozart, Tchaikovsky, Verdi and others, are introduced to children through the magical beings from legends and classic tales—including gnomes, fairies, witches, goblins, elves and wizards—that inspired the composers. 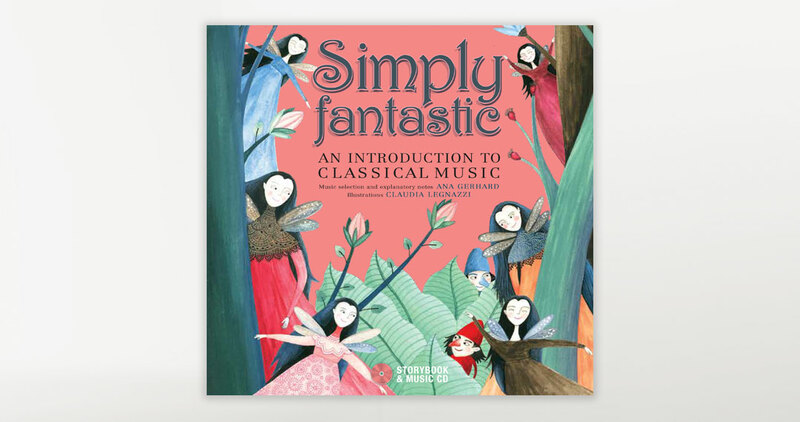 An original and interesting way for younger listeners to discover classical music, this book pairs three centuries of music history with stunning and evocative illustrations. A glossary of musical terms, a short biography of each composer, and a brief presentation of each extraordinary character are included. The accompanying CD features 20 excerpts from various recordings performed by world-class luminaries, including the London Philharmonic Orchestra, La Scala Chorus and Orchestra, and the Academy of St. Martin in the Fields.